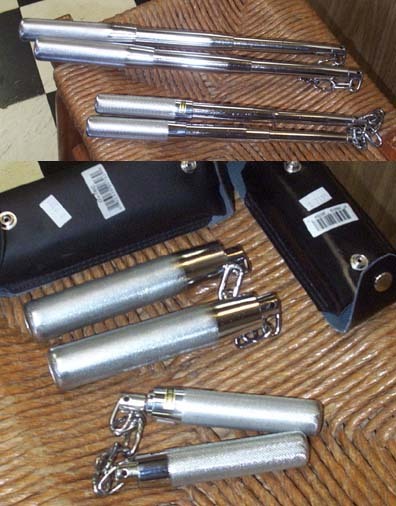 Another photo of a telescopic Nunchaku. This photo show you the different sizes you can find. 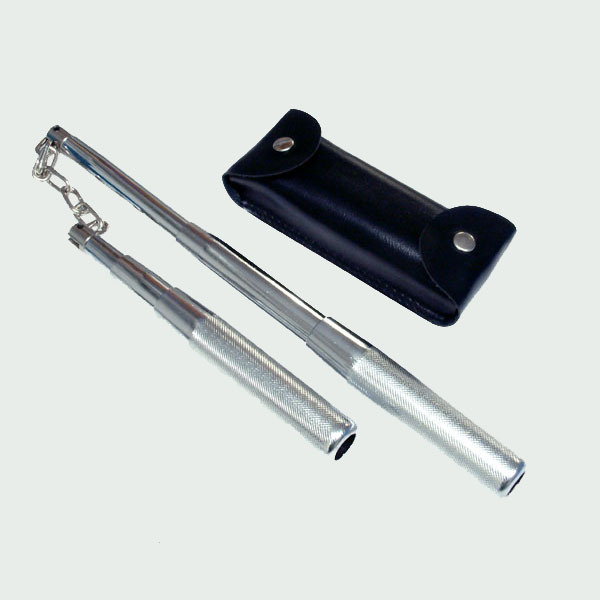 Modern Nunchaku with an industrial conception. 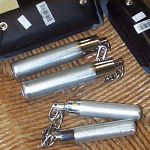 It's telescopic to be easily placed into a pocket. It's can be also hold on a belt with his holster.